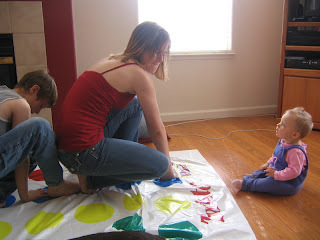 The Musings of a NICU Mommy: Twister Anyone? 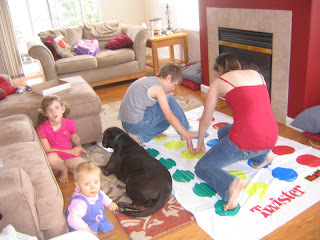 Friday afternoon before the kids left we had a fun game of twister. Jeremy won twice, Brittanty once and Sarah not at all. I am thoroughly convinced that only young people should play this game and that no longer includes me. 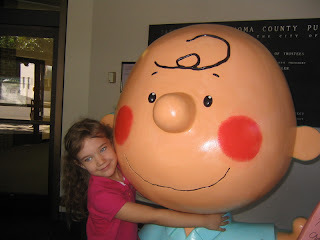 We ran over to the library and got a picture with Charlie Brown. 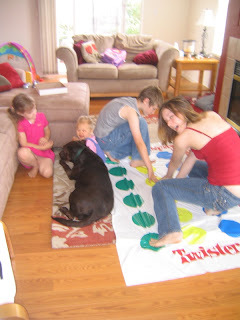 I really wasn't ever very good at that game - - - but I think you are right - it is a kid game all the way! 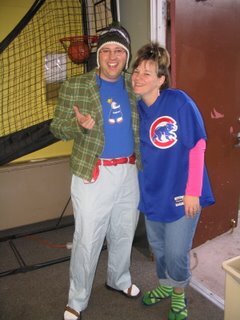 Remember when we played it with Phil and he just manhandled his way around and won every time or nearly so. You still LOOK like you fit in the younger category! wink wink. love ya. 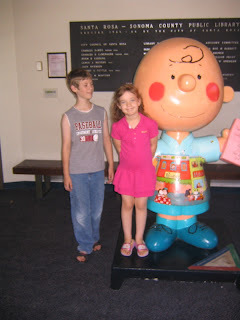 Bekah looks even bigger today.